Is Hypoglycemia causing your insomnia? Is Hypoglycemia to blame for your insomnia? Do you suffer from insomnia? Perhaps falling asleep is not the problem but instead it is staying asleep that proves impossible for you. Then it is possible you are suffering from a sleep disorder caused by hypoglycemia. Insomnia is the inability to fall asleep or to remain asleep throughout the night. This inability to fall asleep can be caused by hypoglycemia as overuse of sugar and other stimulants by a sufferer of the condition may cause many sleepless nights. So what can you do about your inability to fall asleep? If you have insomnia and are hypoglycemic then it is more than likely that your insomnia is caused by your diet. Stimulants such as sugar, caffine and alcohol can cause a hypoglycemic to endure many nights of poor quality sleep. Although those without hypoglycemia are most likely able to solve their inability to fall asleep by removing such stimulants from their diet, a hypoglycemic who is unable to fall asleep usually requires a more sophisticated approach. In order to overcome your hypoglycemia induced sleep disorder you need to eat the correct type of carbohydrates at the correct times. As eating too many, or eating the wrong type of carbohydrates at the wrong time can make matters worse. The inability to fall asleep had one of the biggest impacts on my life as a hypoglycemic. Due to the fact that I was unable to get to sleep, I used to live my days inversely, staying awake all night, watching TV and sleeping intermittently during most of the morning and afternoon. My social relationships were affected as I struggled to get out of bed before 4pm. This all changed however when I began following some simple techniques, all of which I have described in the Overcoming Hypoglycemia Ebook After years of sleepless nights, I began to discover that by following a few easy to follow techniques I was able to greatly improve the amount of sleep I got each night, as well as improving the quality of my sleep. Some of these techniques proved truely miraculous to me as my insomnia was chronic, and before discovering these easy to follow methods I was just not able to get my racing mind to calm down at night. 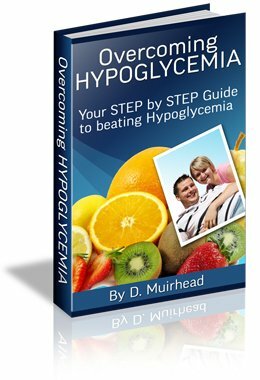 I have included all of my insomnia beating secrets in the Overcoming Hypoglycemia ebook as I feel that these techniques are essential to anyone who suffers needlessly from poor sleep.